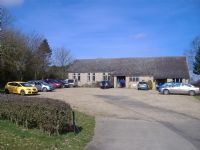 Lawshall Evangelical Free Church is situated in the village of Lawshall, around 8 miles to the south of Bury St Edmunds, Suffolk. The church is signposted off the A134 main Bury St Edmunds to Sudbury road. Travelling from the A134, the church is situated approximately 1 mile from the A134 and is on the right-hand side, on the junction with 'Donkey Lane', (which is the Lawshall to Stanningfield Rd).